According to the NFL Network's Tom Pelissero, linebacker Vontaze Burfict will be visiting the ​Oakland Raiders on Tuesday. The Cincinnati Bengals parted ways with the controversial veteran Monday after seven seasons in the jungle. The former Pro-Bowler racked up numerous fines and suspensions for his on-field behavior and dirty play throughout his career, but with Burfict's production no longer making him worth the headache, they decided to show him the door. 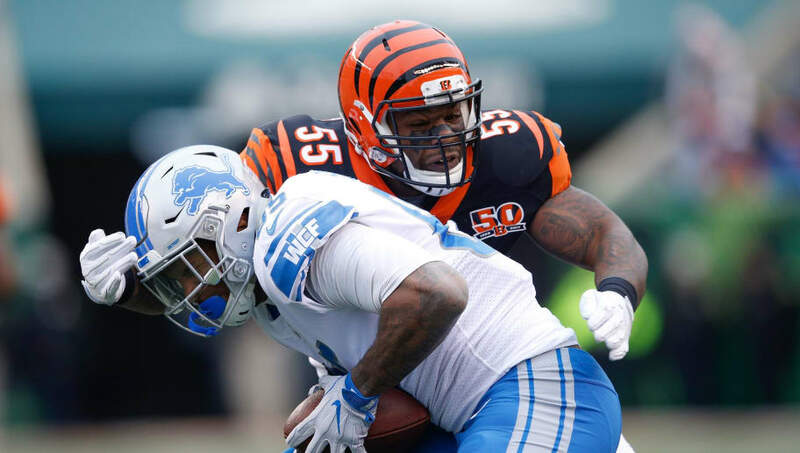 The Raiders definitely need help at the ​linebacker position and according to NFL insider Ian Rapoport, Oakland was interested in trading for Burfict last season. #Bengals LB Vontaze Burfict is facing a 4-game suspension for violating @NFL PED policy, source confirms (as @AdamSchefter said.) This explains why there were since-scuttled trade discussions with the #Raiders. When he's right, the 28-year-old linebacker can be one of the top defensive forces in the league, and at his age, you would imagine he still has at least a few more years left that he can contribute. Burfict would have been a first-round pick out of Arizona State if he could control himself but he instead went undrafted and hasn't changed his behavior at all. We'll have to see if Jon Gruden and Mike Mayock decide to kick the tires on Vontaze and give him a shot with the silver and black. You have to wonder if they will take into account Antonio Brown's history with Burfict, after an unbelievably dirty hit in the 2015 playoffs that could've altered the course of AB's life.